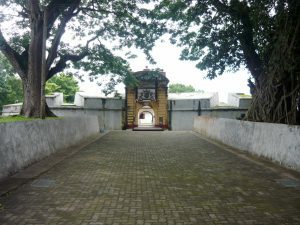 Star Fort is a one of wonderful constructions which has unique architectural design in Matara city area. 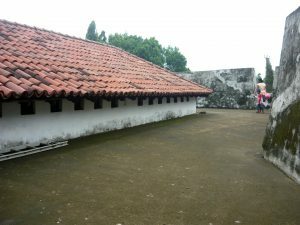 This fort was built by Portuguese during their ruling period. This building has a shape of a star. 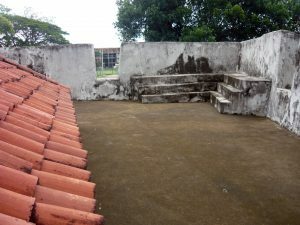 They used this building as their armory to protect their dynamites with high security measures. 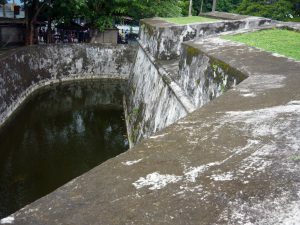 The building is surrounding by a channel which uses to separate outside from the fort completely. It is said that cruel crocodiles were lived in that channel during Dutch ruling period and they were used to protect unauthorized persons cross the channel. There is a movable bridge which can use to enter the fort when they want. 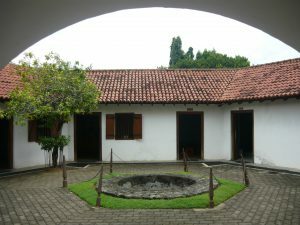 Now this building is protected as an archaeological museum by Archaeological Department, Sri Lanka. 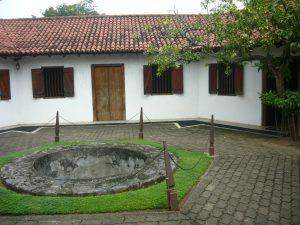 There are many ancient things such as weapons, furniture, uniforms, coins, photographs and models in the museum and also there is an old well in the middle open area of the building. It was used to take drinking water.